by GETI (Global Energy Talent Index) in 2019, 58% of the professionals surveyed believe better training to be the key to attracting and retaining top talent, whereas 47% believe a clearer career progression path is crucial. The GETI survey reports that 62% of the professionals in the global power industry believe engineering to be the sector most affected by talent shortages. With the rise of automation, digitalisation and emphasis on cleaner and renewable energy sources, there is a huge demand for engineers to successfully innovate and come up with the demands placed upon the industry. This shortage has led to decreased efficiency, increased operating costs and reduced productivity. The power industry in Europe, Asia, the Middle East and Africa are booming, resulting in an increasing demand for talented professionals from these regions. The rise in demand can be attributed to industrialization in these countries and the development of their economies, projecting these regions to be important epicenters in the coming years of the energy industry. Compared to the renewable energy sector and the oil and gas industry, the power industry is considered to be less vulnerable to market fluctuations and government subsidies and as a result, is more stable. The stability has translated to high pay and a steady increase in remuneration worldwide, especially in Asia and Africa. The global power industry might be facing a looming talent shortage as young, digitally-skilled graduates don’t see the industry as an exciting career option. Instead, they’re drawn by the idealism and appeal of the renewable energy sector. While the industry has been innovating, young people see the power industry as dull and old-fashioned. Hiring managers should consider branding their companies and job opportunities as modern and place extra emphasis on opportunities to innovate, use creativity and create more meaningful solutions if they wish to appeal to the young millennials. While rising energy demands, the threat of global warming and the increasing pressure to find more reliable energy sources has made it difficult to find top talent, it’s not completely impossible. 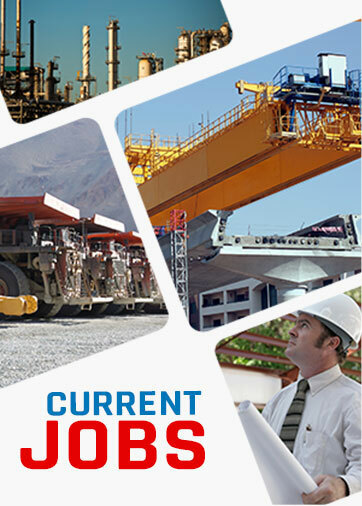 International Manpower Resources is a well-known recruitment partner for several companies in the power industry. Get in touch with us to fulfill your recruitment needs and hire the best talent available.